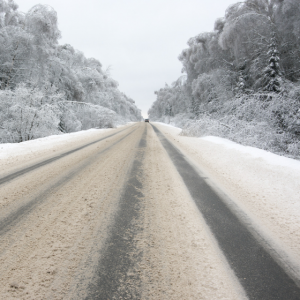 As winter weather sweeps across the country, here are some ways to help keep senior drivers safe on the road. These tips can also help provide peace of mind to families out there who might be a little uneasy about their parents driving in the snow and ice. The battery. Cold weather can be hard on a car’s battery. Make sure all tires are inflated properly. Car fluids. Antifreeze and windshield washer fluid should be checked and topped off. Windshield wipers. Good wiper blades are essential with all the salt and muck on the roads this time of year. Front and rear window defrosters. Make sure these are both working properly. Ice scraper. Check to make sure your parent’s car has an ice scraper/snow brush in the trunk. Visibility is greatly reduced at dusk or dark. Have your aging parents plan their errands and trips during the day, if possible. If they are uncomfortable driving in winter weather, or at night, ask family members, neighbors or friends, to step in and help with transportation. Or you can consider hiring non-medical home care. FirstLight’s in-home companion caregivers can provide transportation services to help with errands and groceries, as well as help get your parents to doctor appointments and social events. This tip can be beneficial for everyone, not just seniors. The first time it snows, head over to a vacant parking lot and practice proper techniques for driving in snow and ice. Experiencing how your car reacts to slippery road conditions will help avoid issues and ill-prepared drivers on the road. Stay up on what your local meteorologist is saying about the three- to five-day forecast and plan accordingly. If cold, snow, ice, and potential poor driving conditions are in the forecast, encourage your parents to adjust their schedule to avoid having to drive when the roads could potentially be hazardous. Winter weather driving can be tricky for anyone, at any age. Unfortunately, some aging seniors also must deal with poor vision, limited mobility and slower response times. So, if the weather outside is frightful, and the driving conditions are unsafe, you should encourage your parents to stay home and off the roads. And if your aging loved one needs assistance around their home during inclement weather, including transportation or other in-home care to help them survive the winter, contact us today to see how we can help.